Hi there Paper peeps....so long no chat! Back from my trip to Italy.....amazing place. It is my day to share at RRR. Trying to get settled back in but feel like my head is in the clouds a bit. I created this snowman tag using plaid ribbon in the red bold check along with some lipstick red seam binding. To hang the tag I wound some 3/8th shell print in red through my hole. Isn't she adorable? I love snow ladies! well I am off....got so much to do around here. Hello Petaloo Peeps!!! I have a cute Halloween card to share today. I used a mix of blooms in purple and paired it with black and white. I really have fallen for this combination. I love the sophistication this adds to a project. I added ribbons, vintage buttons, and a fun image, along with a black cat for a bit of spooky and I was done!!! and lipstick red seam binding. I used stickers, paper scraps, and vintage faux branches. Love the combination of reds, greens with the nontraditional gray. Hope you enjoy! 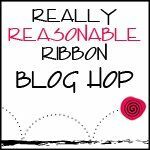 Hi folks time for a RRR blog hop! You should have found your way here from Deborah's gorgeous blog. If at anytime you get lost just start right back at the RRR blog. Here is my creation using the new Ribbon assortment from the ribbon club....full of spooktacularness. It is a word, lol. I promise! I used a vintage photo board as my base. I added all kinds of goodies along with that fab ribbon. I used a rusty old star that I aged with vinegar and bleach. Can not wait to use this in my Halloween display this year! Hi there.....my day over at the RRR blog. I made a fun snowman card. I used white berry clusters, red lipstick seam binding, and red check plaid ribbon. Hi there Petaloo peeps! It is now September so time to get our Halloween craft on!! I created this fun Halloween card using the oh so sweet burlap sunflower. Which is the center of attention on this card. I also used some of the Picks to accent my bloom. Other than that a bit of ribbon and fun embellishments complete my Halloween card. Hi folks.....I am still gone.....promise to be back oh so soon! We have a new challenge over at the RRR blog. All about Autumn colors! So break out those Autumn projects using your RRR ribbons. I made a card duet. Using a Fall orange and pairing it with a non-traditional blue. I used satin swiss dots in blue topaz ribbon on the first card. The second card uses a darker blue using the capri blue double face satin ribbon along with Blue bonnet stripe twine.